The Civil War was the first conflict in which railroads played a major role. Although much has been written about their role in general, little has been written about specific lines. The Cumberland Valley Railroad, for example, played an important strategic role by connecting Hagerstown, Maryland to Harrisburg, Pennsylvania. The Civil War was the first conflict in which railroads played a major role. Although much has been written about their role in general, little has been written about specific lines. The Cumberland Valley Railroad, for example, played an important strategic role by connecting Hagerstown, Maryland to Harrisburg, Pennsylvania. Its location enhanced its importance during some of the Civil War’s most critical campaigns. Despite the line’s significance to the Union war effort, its remarkable story remains little known. 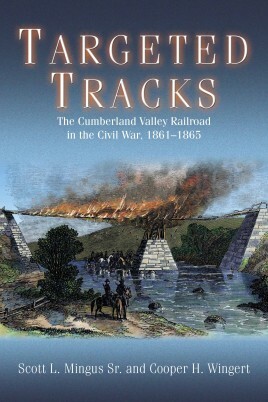 The publication of Targeted Tracks: The Cumberland Valley Railroad in the Civil War, 1861-1865, by Scott L. Mingus Sr. and Cooper H. Wingert, rectifies that oversight. Because of its proximity to major cities in the Eastern Theater, the Cumberland Valley Railroad was an enticing target for Confederate leaders. As invading armies jostled for position, the CVRR’s valuable rolling stock was never far from their minds. Northern military and railway officials, who knew the line was a prized target, coordinated—and just as often butted heads—in a series of efforts to ensure the railroad’s prized resources remained out of enemy hands. When they failed to protect the line, as they sometimes did, Southern horsemen wrought havoc on the Northern war effort by tearing up its tracks, seizing or torching Union supplies, and laying waste to warehouses, engine houses, and passenger depots. Targeted Tracks is grounded on the railway’s voluminous reports, the letters and diaries of local residents and Union and Confederate soldiers, official reports, and newspaper accounts. 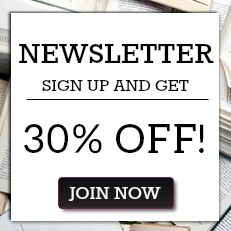 The primary sources, combined with the expertise of the authors, bring this largely untold story to life. Scott Mingus, a scientist and consultant in the global pulp & paper industry, holds patents in self-adhesive postage stamps and bar code labels. The Ohio native graduated from the Paper Science & Engineering program at Miami University. He has written 19 Civil War and Underground Railroad books. His biography Confederate General William “Extra Billy” Smith won multiple awards, including the Dr. James I. Robertson, Jr. Literary Award for Confederate history. He has also written articles for many publications including Gettysburg Magazine. Cooper Wingert is the author of a dozen books and numerous articles on slavery and the American Civil War. His book The Confederate Approach on Harrisburg won the 2012 Dr. James I. Robertson, Jr. Literary Award for Confederate history. His other works include Slavery and the Underground Railroad in South Central Pennsylvania, Abolitionists of South Central Pennsylvania, and Harrisburg and the Civil War. Cooper has also written articles for Gettysburg Magazine and has appeared on C-SPAN Book TV and Pennsylvania Cable Network. Wingert received the Camp Curtin Historical Society’s inaugural General Joseph F. Knipe Award in recognition for his research on the Harrisburg area during the Civil War. A Pennsylvania native, Wingert is currently a student at Dickinson College in Carlisle, Pennsylvania.